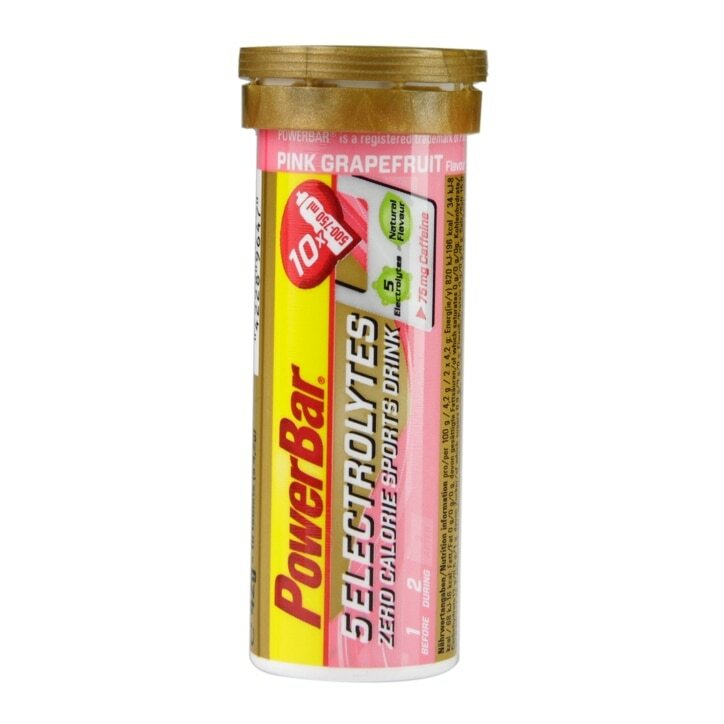 PowerBar 5 Electrolytes Pink Grapefruit is rated 5.0 out of 5 by 3. Rated 5 out of 5 by Mur2407 from Fab I bought these in different flavours, good price and good quality.. I use these b4, during and after my exercise I differently can say they do help me to continue for longer and they taste good too. I drink 2litres in that I put 2 tabs and I drink the full amount, very day as I excercise 6 days a week. Will deffo buy again.. Rated 5 out of 5 by RoadrunnerB from Very good quality Very good quality product. Excellent for replacing electrolytes lost during exercise.